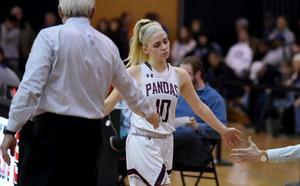 The Pandas 20-10 season ended at Souderton Area High School in the PIAA Semi-Finals against Bethlehem Catholic. Congratulations to seniors Kelli Curran, Maeve McCann, and Ariana McGeary on a fantastic season! “In my last four years the bond we’ve had, it just grew and grew throughout the season," McCann said. "And this has been my favorite year, by far. Getting to play with my sister was incredible. I’m going to remember that forever. It was a great team. A great year.” Read more here. The Friars traveled to Hershey for the PIAA State Championship against Ihmotep Charter, participating in the school's first state championship game! A 67-56 loss ended the journey for the Friars. Congratulations to seniors Michael Perretta, Chris Haynes, Isaiah Wong, and Tariq Ingraham! Reaching a state final is a momentous achievement for any basketball program. When your team represents a school that won four games just five years ago, that had never before last season made the PIAA tournament much less a final, that within the last decade has had its very existence threatened by closure … it means a whole lot more. 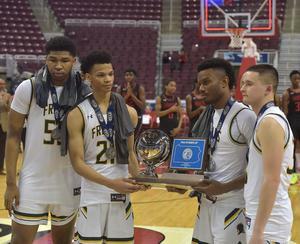 Read more: Bonner & Prendergast playing for more than a state title, PA Prep Live.